Longtime striking coach Henri Hooft announced last week his departure from the Blackzillians after six years of working with the team on his Instagram account. 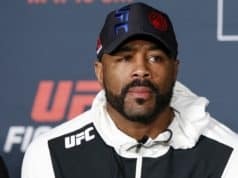 Then, Rashad Evans went on “The MMA Hour” and noted that the team is “fragmented.” However, Blackzillians chief Glenn Robinson stated that he is not going anywhere. Robinson added that Hooft’s departure came after months of unfruitful conversations about a new employment deal, which took place when there was a transition between training facilities that led to some of the coaches to go elsewhere. Hooft shot down any rumors that he would be opening his own gym when he spoke with MMA Junkie for a recent interview. He noted that he went to his friend’s gym that is called Combat Club MMA following his departure from the Blackzillians. 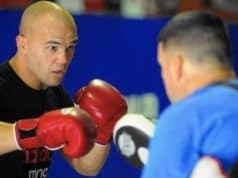 He did admit that he is training some fighters that he has for years at the new gym but made it clear that as of this moment he doesn’t have his own team.